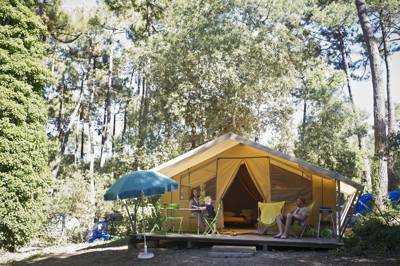 Camp by the ocean at Huttopia Oléron Les Chênes Verts amid sand dunes and holm oak forests. 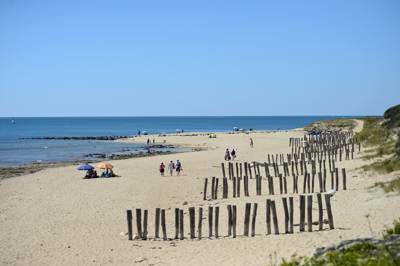 For latest availability and best prices for Huttopia Oleron les Chenes Verts, please use the Date Search above. There's a snack bar and pizza restaurant during peak season. A central lodge with internet and free Wi-Fi, a playground, boules pitch, table tennis, table football, volleyball court and indoor board games. 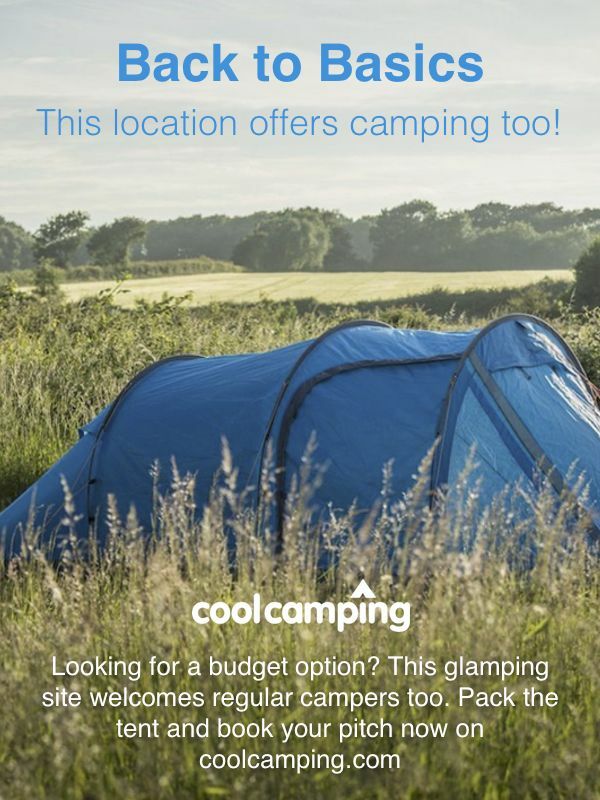 'Camper's corner' shop for any essentials you've forgotten, a library corner and tourist information in reception. Bikes available for hire. Activities for children throughout school holidays. It's a 50 metre stroll down to the beach. Bring a towel and while away some hours in the sun or walk north to where the sands curl into La Perroche in a crescent shaped bay. Island Kayak Oléron (07 82 517 217) offer the chance to get out on the water and explore the coast more thoroughly, or stay inland on bikes and tour some of the local attractions – the moated medieval castle in St Jean d'Angle (05 46 82 76 03), the saline harbour (05 46 75 82 28) in Le Grand Village Plage or the famous fishing village of La Cotinière, one of the oldest ports in the entire country. The restaurant onsite serves excellent homemade pizzas, along with a host of other snacks and drinks best enjoyed out on the terrace. It's only open over the May public holidays and through July and August. Outside of those times there are still plenty of great eateries in the nearby harbour towns – the best spots to go for fresh seafood. • From Paris via the A10 motorway, take the exit for La Rochelle / Rochefort, then follow signs for Surgères / Rochefort / île d’Oléron. 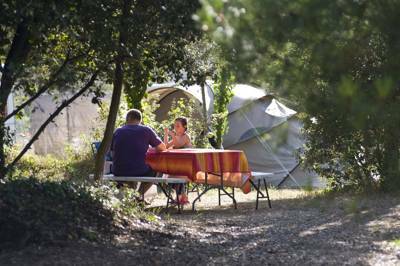 Take the road towards Dolus d’Oléron then follow signs for Huttopia. 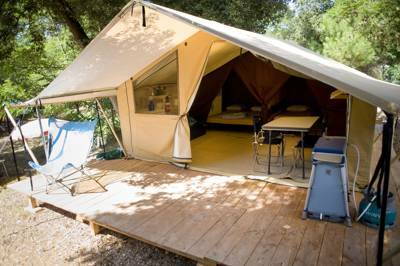 150 camping pitches and 45 pre-pitched and furnished safari tents.